Our colleagues are “not just cleaners”, they are special. Without them, our customers would not experience the service excellence they receive from NJC. Our people are equally as important to us as our customers, because the quality of our service is measured by the actions of our front line teams, each and every day. We recruit talented people and train, support and empower them, enabling them to develop their careers and fulfil their ambitions. 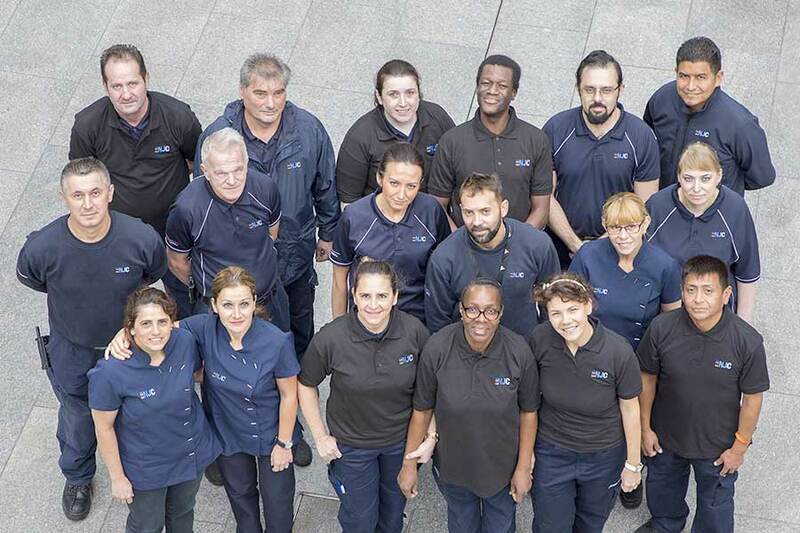 All our employees demonstrate our values of service quality, customer service and attention to detail and everyone is prepared to go the extra mile: that is the NJC DNA. NJC people enjoy their work, are passionate about customer service and show respect for one another. People that enjoy their work produce good results and we create an environment where our employees feel proud and realise the importance of their role. Contributions from all team members are valued and hard work is appreciated and recognised through our Gratitude Award Scheme. Customers can therefore be assured of a balanced, capable team, with the right skill set, which will go the extra mile to deliver high quality service. We are committed to being an Employer of Choice, within which we strive to offer a range of competitive employment packages that are attractive and sustainable. This coupled with long term career paths and high levels of support and training, delivers an attractive and supportive working environment. At NJC we believe that it is critical that our operational management colleagues have sufficient time to support their portfolio of contracts, and we limit portfolio size to enable high levels of on-site presence and support of operational teams. We have both an area management network at senior operational level and also at subject matter expert level for functional support to our wide spectrum of directly delivered services.